Daniel Ricciardo felt off-track commitments hindered his performance in Melbourne - but hopes for better in Bahrain next time out. After enduring a nightmare debut with Renault at his home grand prix in Australia, Daniel Ricciardo lamented a lack of focus in their preparation for the race. 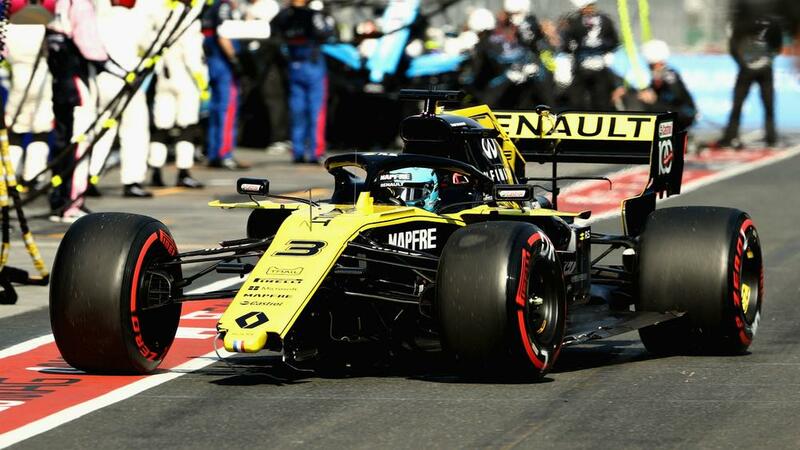 Ricciardo was forced onto the grass at the start and lost his front wing on the run into the first corner, with a pit stop seeing him drop to the back of the field. The 29-year-old was lapped by eventual winner Valtteri Bottas before the midway point and ended up retiring for the second time in three years at Albert Park. Ricciardo suggested media and promotional activities required too much attention from him and his team ahead of the Australian Grand Prix. "It happened really quickly. No one to blame, other than just grass and a big bump of concrete. The bump was harsh," Ricciardo said of his early exit from the track. "I didn't want to go on the grass, I had a run on [Sergio] Perez and for me the inside was the best place to go. I saw him move, so moved a bit more and that put my wheel on the grass. But even then, I wasn't concerned if I put two wheels on the grass, I thought I could carry the momentum, but as soon as I got to the grass there was the gutter. "I don't know how I'm smiling. This week's so long and I don't seem to have a good break here. I think we're too busy pleasing everybody else and not worrying about ourselves. "We should be a top-eight car for all the first half of the season, then even better after that. I think Bahrain is going to be a lot easier, that's like a holiday week, there's really nothing going on, so I can prepare properly. "I'm frustrated this week because, again, everyone expects so much but the reality is I've got to show up on Sunday and when the race is over in five seconds – whether it's bad luck or not – I feel like the preparation wasn't where it should be. I feel a bit hard done by but I'm trying to please everyone."